The Togolese Republic in West Africa imports roughly 500 000 tonnes of e-scrap every year. Local entrepreneur Ousia Foli-Bebe is on a special mission: to transform the countless discarded television screens, mobile phones and computer parts into one-of-a-kind robots. 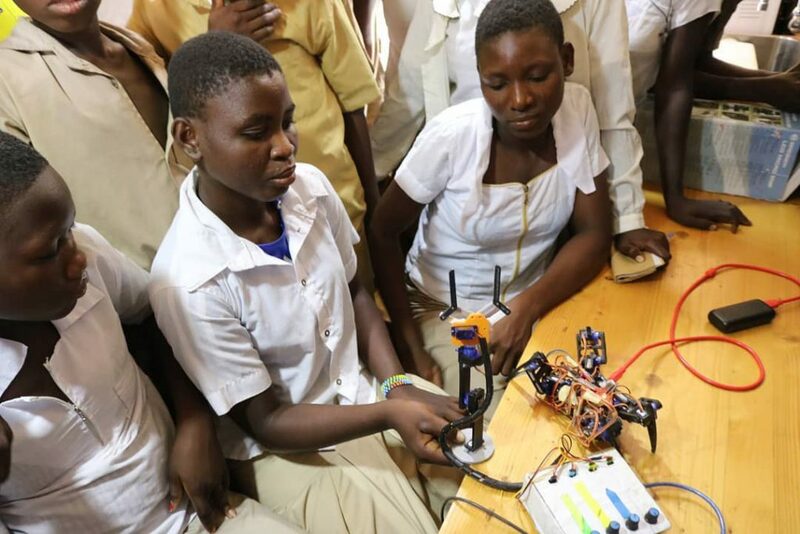 Whoever steps foot into EcoTecLab Makerspace’s office in Lomé city will undoubtedly see a robotic spider crawling across the desk. Company founder Ousia Foli-Bebe crafted several arachnid creatures of various shapes and sizes from salvaged electronic equipment. But not purely for amusement – no, to help youngsters see the value in materials. And, ultimately, to inspire their interest in engineering and sustainable design. Foli-Bebe started his e-scrap adventure in 2016, when he built the first 3D printer completely from end-of-life electronics parts. This machine allowed him to create the legs for his robotic spiders. These scrap creatures certainly got the attention of young students Foli-Bebe visits as part of his eco tour across the country. 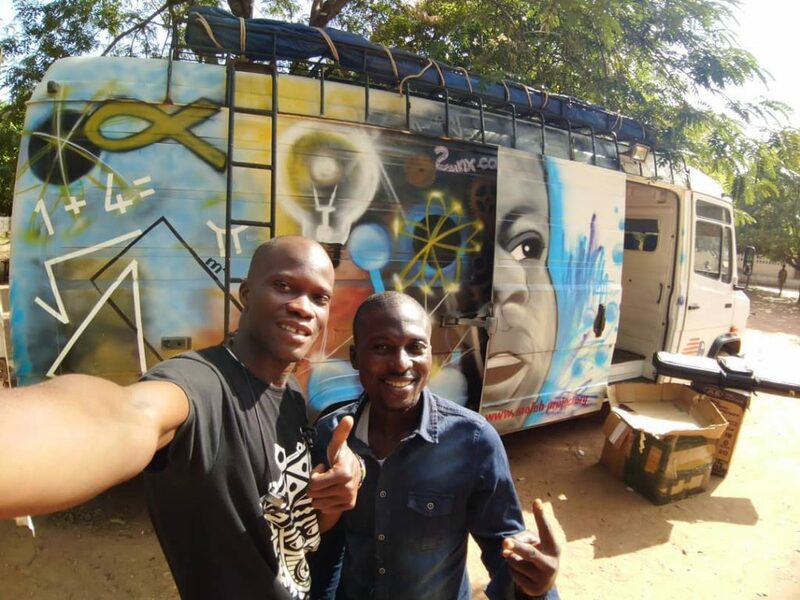 The 29-year old entrepreneur set up a mobile ‘tech lab’ in a bus to showcase the true power of e-scrap. He teaches students to dismantle and put together electronics. The devices are sourced from the tennis court-sized scrapyard next to the EcoTecLab’s building. Foli-Bebe says he shares the yard with a local e-scrap recycler friend of his to ensure he always has ‘easy access’ to materials. 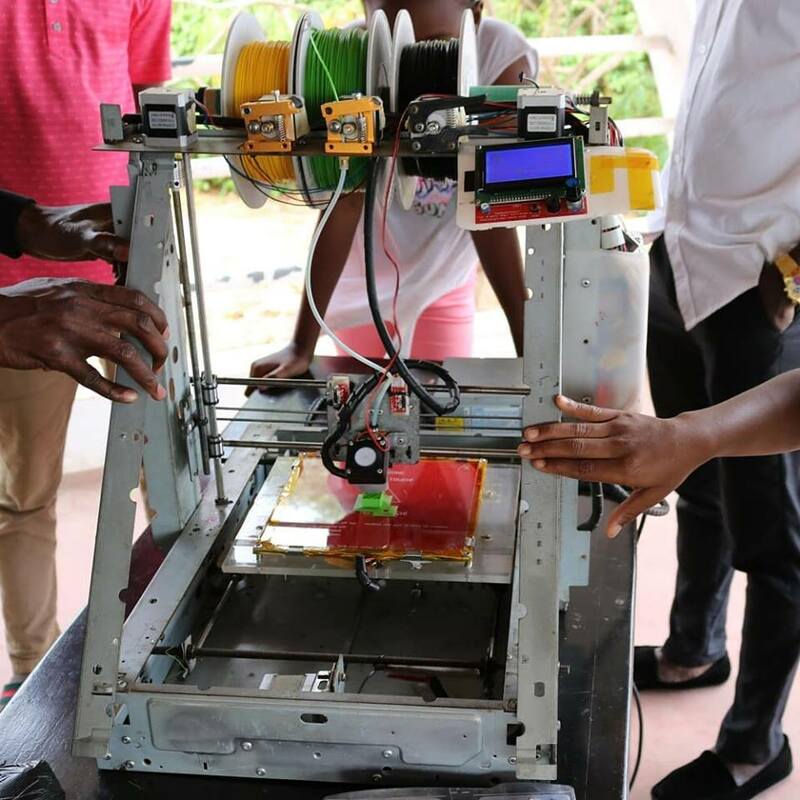 The youngman adds he himself was inspired by Gnikou Afate, a local inventor who produced the first 3D printer made completely from e-scrap. 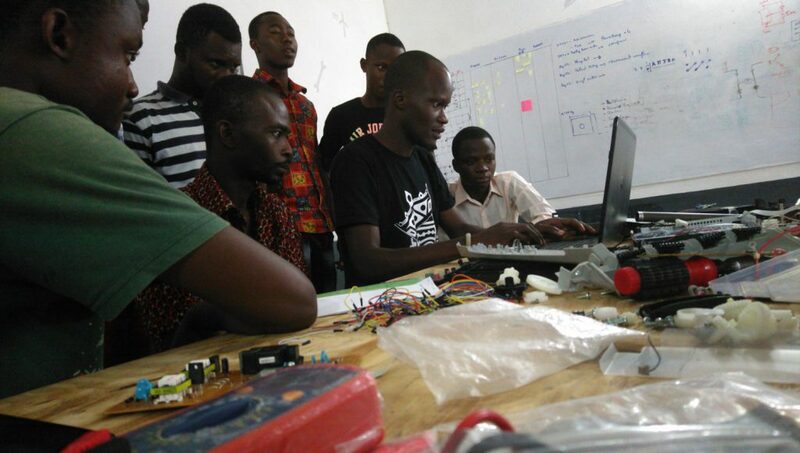 Having completed the MandelaWashington Fellowship, Foli-Bebe plans to develop and commercialise open source hardware. He will focus especially on solar dryers and agricultural technology.